NATIONAL COLLEGIATE DODGEBALL ASSOCIATION, INC.
National Collegiate Dodgeball Association, Inc. Bylaws & Articles of Incorporation as a 501(c)(3) Nonprofit Organization. The Organization previously operated as an unincorporated student-run organization known as “Midwest Dodgeball Conference” (2004-2006). The name was changed to “National Collegiate Dodgeball Association” (2006-2014). The Organization was incorporated in Kentucky as a nonprofit organization on January 18th, 2014 and was granted 501(c)(3) tax-exempt status on November 16th, 2014 as “National Collegiate Dodgeball Association, Inc.”. 1.1 Title – The full and official title of this organization is “National Collegiate Dodgeball Association Inc.” It may be referred to by its official abbreviation, “NCDA”, or “National Collegiate Dodgeball Association”. It shall hereby be referred to in these Bylaws and subsequent Policies/Documents as “Organization”. 1.1.1 The Organization may establish such acronyms or abbreviations as may be appropriate for business use, and may establish logos, service marks, or trademarks as may be appropriate to further its purposes, mission recognition and goals. 1.2 Status – The Organization is incorporated as a nonprofit organization and licensed pursuant to the laws of the Commonwealth of Kentucky, abiding by the laws of all states or provinces in which it operates, and in accordance with the laws, rules, and regulations of a tax-exempt organization under Section 501(c)(3) of the Internal Revenue Code of the United States of America. The Organization shall be operated for charitable and educational purposes. 1.3 Offices – The Principal Office of the Organization shall be in the Commonwealth of Kentucky. Organization may have such other offices, either within or outside Kentucky, as the Executive Board may designate or as the affairs of the Organization may require. 1.4 Domain – The Organization shall aim to include and represent all collegiate dodgeball organizations and clubs in North America, including the United States, Canada, and Mexico; including their respective territories and dependencies. 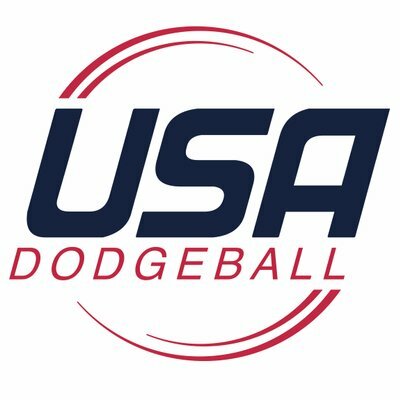 If a collegiate dodgeball organization wishes to join the Organization and is outside the United States, reasonable efforts shall be made for inclusion within the parameters outlined under Section 501(c)(3) of the Internal Revenue Code of the United States of America. 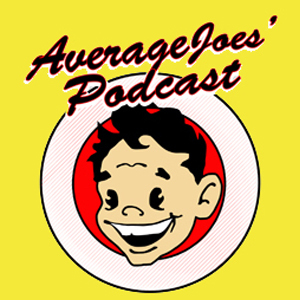 2.1 Abbreviated Purpose – The purpose for which the Organization is organized is to act as the premier governing body that fosters an educational, athletic, and recreational atmosphere for collegiate-level competition in the sport of Dodgeball by involving its members in the organizing, promoting, and hosting of events. 2.2.2 To exercise such of the rights, powers, duties and authority of a nonprofit corporation organized under the Nonprofit Corporation Act of the Commonwealth of Kentucky which are consistent with the preceding paragraph. 2.3.6 To make training programs open to all who have a desire to learn about Dodgeball and a desire to learn something about themselves. 2.3.8 To represent area athletes and their parents within the rules and bylaws of the Organization. 3.7 Furtherance – Take such other actions and engage in such other activities as may be consistent with and in furtherance of the purposes of the Organization. 4.1 Member – An enrolled student pursuing a degree at an Institution of Higher Education or Alumni of a Member Team. Administration and Staff of the Organization also become Members upon beginning their role in the Organization. 4.1.1 Student-Athlete – An enrolled student pursuing a degree at an Institution of Higher Education who also meet the requirements set forth by their respective Institution for intercollegiate competition belonging to their Institution’s Dodgeball organization. Student-Athletes are the only sub-classification of Member permitted to participate in intercollegiate competition at Organization-sanctioned Events. 4.1.2 Alumni – Formerly enrolled student at an Institution of Higher Education who participated in at least one intercollegiate competition as a member of their Institution’s Dodgeball organization. Alumni are permitted to act as Coach, Advisor, or other various roles of Member Team Administration but are strictly prohibited from actively participating in intercollegiate competition in the role as an Active Player. Alumni can serve the Organization as Officials, Staff, Administration, or other necessary roles. Alumni can, however, participate at Organization-sanctioned Events in Special Matches (See Article 4.3.1.1). 4.2.3.1 Upcoming Member Team – A student organization at an Institution of Higher Education that has explicitly expressed interest in becoming a Member Team of the Organization, but has not yet completed all four requirements set forth under Article 4.2. 4.2.4 At least once per fiscal year, participate in an Organization-sanctioned Event under the Organization’s ruleset against another Member Team. An inducting Match does not need to include a current Member Team, so two Upcoming Member Teams may play each other to attain Member Team status. 4.3 Event – An Organization-sanctioned Match, Series of Matches, or Tournament between at least two Member Teams (or any combination including an Upcoming Member Team) played under the Organization’s ruleset. 4.3.1 Match – An Organization-sanctioned intercollegiate competition between two Member Teams (or any combination including an Upcoming Member Team) played under the Organization’s ruleset. 4.3.1.1 Special Matches – An Organization-sanctioned Event that specifically permits Members, Alumni, Staff, and/or Administration to also participate in competition. These Events are solely for fun. These are recorded in the Records, but are not reflected in any Organization ranking of Member Teams. 4.3.2 Series of Matches – At least two Organization-sanctioned Matches in the same 24-hour time frame between at least two Member Teams (or any combination including an Upcoming Member Team) played under the Organization’s ruleset. This type of Event typically does not determine an overall winner. It can also be referred to colloquially as a “round-robin” or “invitational”. 4.3.2.1 Consecutive Matches – As a safety precaution, a Member Team (or Upcoming Member Team) must take a 30-minute break after playing three (3) consecutive Matches at an Event. 4.3.3 Tournament – At least three Organization-sanctioned Matches in the same 72-hour time frame between at least four Member Teams (or any combination including an Upcoming Member Team) played under the Organization’s ruleset. This type of Event includes an elimination bracket to determine an overall winner. 4.3.3.1 Consecutive Matches – As a safety precaution, a Member Team (or Upcoming Member Team) must take a 30-minute break after playing three (3) consecutive Matches at an Event. 4.3.4 Nationals – Nationals is the post-season Tournament to determine a champion Member Team of the Organization for a fiscal year. 4.3.4.1 Host – The interested Member Teams that wish to host Nationals of the following year will officially announce their nomination at the Annual Captains’ Meeting. 4.3.4.2 Voting for Host – For the two weeks after the Nationals Championship Game is played the Organization will remain open for nominations for a Host for Nationals of the following year. Once that time frame has expired, a voting ballot will be sent out to each of the Member Teams via email on May 1st. Each Member Team will be given one vote. Member Teams will have until May 6th to submit their voting ballot. The Board will count the vote and announce the results by May 8th. 4.3.4.3 Date – Nationals is typically held on one of the first two weekends of April. Nationals has the option to run Friday-Sunday or Saturday-Sunday. Dates are reliant on the availability of the Host’s facilities. 4.3.4.3.1 Avoided Dates – The Organization shall do everything in its power to avoid scheduling Nationals during the same time as any Member Team’s Spring Break and Easter. 4.3.4.4.1 Entrance Fee – Member Teams are required to pay a Nationals Entrance Fee in order to participate in the Event. The amount will be determined by the Director of Nationals based on the budget. 4.3.4.4.2 Regular Season Match Requirement – Member Teams must have participated in at least three Matches between the beginning of the fiscal year and the first day of Nationals. 4.3.4.4.3 Member Team Obligations – Member Teams are also required to abide by all conditions stated in the Member Team Obligations section of these bylaws [Article 7]. 4.3.4.5.1 Requested Game – Each Member Team will provide the Nationals Committee with a list of two other Member Teams they would like to compete against. Depending on the other factors below, Each Member Team will compete against at least one of their Requested Games. 4.3.4.5.2 Unique Matchup – Each Member Team will compete against one opponent at Nationals they have not competed against during the current fiscal year. 4.3.4.5.2.1 Exception – If a Member Team has competed against every other attending Member Team at Nationals during the regular season, they shall compete against the Member Team they have competed against the least amount of times in the current fiscal year. 4.3.4.5.3 Evenly Matched Opponent – Each Member Team will compete against at least one opponent at Nationals that is within one standard deviation of their ranking. 4.3.4.5.4 Overlap – If any of the three factors above overlap with one another. The rest of the matches for that Member Team will be determined based on what the schedule of competitors allows. 4.3.4.6 Bracket Format – The Sunday of Nationals will be comprised of a single-elimination bracket. The Member Team which goes undefeated on the Sunday of Nationals will be determined the NCDA Champions. 4.3.4.6.1.1 Value – The Matches during the Non-Bracket portion of Nationals will have double the value of the regular season Matches. The seeding of the Bracket will reflect the ranking of the Member Teams based on the regular season Matches and the Matches played during the Non-Bracket portion of Nationals. 4.3.4.6.1.2 Seeding Changes – The seedings may not be changed for any reason. 4.3.4.7 Consecutive Matches – As a safety precaution, a Member Team (or Upcoming Member Team) must take a 30-minute break after playing three (3) consecutive Matches at an Event. 4.3.4.8 Special Matches – Nationals will also host Special Matches that have no bearing on results or Member Teams. The Special Matches are purely for fun. 4.3.4.8.1 Alumni/Staff Game – The Alumni/Staff Game gives the opportunity for any attending Alumni or Staff to compete in a 25-minute Match against one another. 4.3.4.8.2 Ladies Match – The Ladies Match gives the opportunity for any attending females to compete in a 25-minute Match against one another. 4.3.4.8.3 All Star Game – The All Star Game give the opportunity for the most talented Members of the Organization to compete in a 25-minute Match against one another. 4.3.4.8.3.1 Format – The entire format of the All Star Game shall be determined by the DoN and the Nationals Committee. 4.3.4.9.1 Introduction to Meeting and Introduction of Board. 4.3.4.9.2 Roll Call of Member Teams. 4.3.4.9.3 Match Results so far. 4.3.4.9.4 Bracket Seedings and Schedule. 4.3.4.9.6 Review of Rule Changes that took effect this year. 4.3.4.9.7 Review of Rule Change proposals for next year. 4.3.4.9.8 Policy and Bylaws update. 4.3.4.9.11 Bids for next year’s Nationals Host. 4.3.4.9.12 Nominations for open Board member positions. 4.3.4.10.1 That Member does not violate his or her school’s criteria for intercollegiate competition. 4.3.4.10.2 The Member in question must submit an email to the Executive Board requesting permission to play. The Executive Board must then approve that Member’s request to play. 4.3.4.10.2.1 The Member in question must submit this email no later than the February 1st immediately preceding the respective year’s Nationals. All requests to play submitted after February 1st will be immediately denied. 4.3.4.10.3 That Member is able to provide the Executive Board an official transcript as well as proof of graduation. 5.1 In General – The Organization shall be governed by an Executive Board whose members are selected in accordance with the provisions of these Bylaws. Henceforth, the Executive Board will be referred to as the “Board” in these Bylaws and subsequent Policies and Documents. 5.2.11 ensures that the Board and staff are properly structured and prepared to act in case of an unforeseen corporate crisis. 5.3 Diversity – The Organization is committed to taking meaningful and intentional actions to promote diversity among Board members. Organization recognizes the need to promote and enhance diversity throughout the sport of Dodgeball and diversity among Board members is consistent with and in furtherance of that overall goal. Board members shall be selected without regard to race, color, religion, age, gender, sexual orientation, national origin or disability. 5.4.1.1.1 Presence – Acting as the public face of the Organization. 5.4.1.1.2 Bylaws – Maintaining the Policies, Bylaws, and Constitution of the Organization. 5.4.1.1.3 Assistance – Assisting all other Board members with their responsibilities. 5.4.1.1.4 Announcements – Making official announcements on behalf of the Organization. 5.4.1.1.5 Laws and Regulations – Maintain understanding of laws, policies, and procedures for 501(c)(3) organizations in the United States. 5.4.1.1.6 Voting – Voting on all decisions made for the organization. 5.4.1.1.7 Relationships – Establishing and maintaining relationships with potential sponsors and other shared-interest organizations in the United States and elsewhere. 5.4.1.1.8 Success – Maintaining and promoting the success of the Organization. 5.4.1.1.9 Other tasks – Doing any task deemed necessary. 5.4.1.2 Term – The President’s term shall be for the duration of two fiscal years. The President’s term shall begin and end at the start of the fiscal year ending with an odd number (e.g. 2015, 2017, 2019). 5.4.1.3 Voting Power – This position allows for one vote on the Board. 5.4.2.1.1 Laws and Regulations – Maintain understanding of laws and regulations associated with finances in nonprofit organizations under the parameters outlined under Section 501(c)(3) of the Internal Revenue Code of the United States of America. 5.4.2.1.2 Banking – Maintain relationship with bank, signing checks, and investing excess funds wisely under the parameters outlined under Section 501(c)(3) of the Internal Revenue Code of the United States of America. 5.4.2.1.3 Oversight – Being knowledgeable about who has access to the Organization’s funds, and any outstanding bills or debts owed, as well as developing systems for keeping cash flow manageable. 5.4.2.1.4 Budgets – Developing the annual budget as well as comparing the actual revenues and expenses incurred against the budget. 5.4.2.1.5 Financial Policies – Overseeing the development and observation of the organization’s financial policies. 5.4.2.1.6 Reports – Keeping the Board regularly informed of key financial events, trends, concerns, and assessment of fiscal health in addition to completing required financial reporting forms in a timely fashion and making these forms available to the board. 5.4.2.1.7 Dues – Collecting annual membership dues from each represented Member Team. 5.4.2.1.8 Creating invoices – Create and maintain record of invoices sent to vendors and Member Teams. 5.4.2.1.9 Filing Taxes – Filing annual federal taxes. This includes but is not limited to Form 990 or any variations of that form along with the subsequent Schedules associated with it. 5.4.2.1.10 Research – Seeking guidance from outside sources when questions arise. 5.4.2.2 Term – The Treasurer’s term shall be for the duration of two fiscal years. The Treasurer’s term shall begin and end at the start of the fiscal year ending with an odd number (e.g. 2015, 2017, 2019). 5.4.2.3 Voting Power – This position allows for one vote on the Board. 5.4.3.1 Position – The remaining five (5) positions of the elected Board shall be fluid in responsibilities and actions, dependent upon the particular skill sets and interests of the elected individual. 5.4.3.1.1 Term – The Open Directors’ terms shall be for the duration of two fiscal years. 5.4.3.1.1.1 Two of the Open Directors’ terms shall begin and end at the start of the fiscal year ending with an odd number (e.g. 2015, 2017, 2019). 5.4.3.1.1.2 Three of the Open Directors’ terms shall begin and end at the start of the fiscal year ending with an even number (e.g. 2016, 2018, 2020). 5.4.3.3 Voting Power – Each Open Director position allows for one vote on the Board. 5.4.3.2.1.1 Rulebook Committee – Creating and managing the Rulebook Committee. 5.4.3.2.1.1 Rulebook Publication – Publishing a new version of the Organization Rulebook each year with the appropriate changes. 5.4.3.2.2.1 Officials – Managing the Officiating Staff and assisting in scheduling of Officials for Events as deemed necessary. 5.4.3.2.2.2 Training – Create and distribute Officiating Staff training material. 5.4.3.2.3.1 Records – Maintain official records of Matches played. 5.4.3.2.3.2 Rankings – Maintain the Ranking Systems for Member Teams of the Organization. 5.4.3.2.3.3 Statistics – Develop and maintain statistics for the Organization. 5.4.3.2.4 Development Team – Direct the Development Team, which consists of front end web developers, back end programmers, and any other colleagues needed to fulfill the tasks of the office. 5.4.3.2.4.1 Development and Improvement – Seek development and improvement opportunities for the Organization’s technological growth. 5.4.3.2.5 Content Team – Direct the Content Team, consisting of Content Writers, Podcast Hosts, Graphic Designers, and any other Members as needed to fulfil the tasks of the office. 5.4.3.2.5.1 Articles – Keep the Organization’s website in order by posting regular articles on mostly Dodgeball related subjects. 5.4.3.2.5.2 Updating – As director of the Content Team, keep the Organization’s website in order by maintaining and updating existing static content, while introducing new content as needed. 5.4.3.2.5.3 Production – As director of the Content Team, produce both written or graphical elements of print, as required by the Organization’s operations. 5.4.3.2.5.4 Social Management – As director of the Social Management Team, maintain the Organization’s online social identity and presence. 5.4.3.2.6 Organizational Growth and Recruitment – Actively work to assist in the growth and recruitment of new organizational Members and Member Teams. 5.4.3.2.6.1 Recruitment – Actively seek out potential Member Teams. 5.4.3.2.6.2 Assistance – Help prospective Member Teams in creating the team at their institute of higher education. 5.4.3.2.6.3 Advisor – Act as advisor for new Member Teams to make sure their transition into the Organization goes smoothly. 5.4.3.2.6.4 Follow up – Follow up on old leads for prospective new Member Teams. 5.4.3.2.6.5 Campaigns – Develop campaigns for recruiting new Member Teams into the Organization. 5.4.3.2.6.6 League Ambassadors – Managing and recruiting the League Ambassadors. 5.4.3.2.7 Alumni Relations – Managing the Office of Alumni Relations. Keeping alumni involved in the Organization. 5.4.3.2.8 Charitable Organizations – Working to create and maintain relationships with charitable organizations. Working with President on campaigns that both help with recruitment and raise funds for charitable organizations. 5.4.3.2.8.1 Community – Creating campaigns to help develop positive relationships with our Organization and the communities the Members belong to. 5.4.3.2.9 Public Relations – Assist the President in the development and maintaining of relationships with like, and complimentary, organizations. 5.4.3.2.9.1 Campaigns – Develop and launch publicity campaigns. 5.4.3.2.10 Other Tasks – Assisting other directors on tasks related to the benefit of the organization. 5.4.4.1.1 Nationals Team – Requires assembling and working in a team, including a non-voting Assistant Director of Nationals, to ensure Nationals Event is the prime standard for all other organizational events. 5.4.4.1.2 Communication – Maintain regular communication to keep the Organization up-to-date with necessary and related issues, which may include social media updates, website articles, email, or phone correspondence. 5.4.4.1.3 Integrity – Maintain the Organization’s image, integrity, and spirit in planning the Event. 5.4.4.1.4 Reservations – Reserve adequate court space for Event, including reserving a location for the annual Captains’ Meeting. 5.4.4.1.5 Accommodations – Use the size of the Event and the amount of attendees to negotiate and secure arrangements for lodging accommodations, event shirts, and any other purchases that benefit from bulk purchasing power. 5.4.4.1.6 Budgeting – Create and maintain a budget for total Event expenses, which may include applying for funding from the Host Institution. 5.4.4.1.7 Entry Fee – Set the Event Entry Fee and collect from attending Member Teams. 5.4.4.1.8 Safety – Ensure the safety of all visitors and Members during the course of the Event. 5.4.4.1.9 Scheduling – With assistance from the other members of the Board, create and announce schedule of the Event which includes: the Captains’ Meeting, League Picture, Match schedule, Officiating assignments, and other necessary Event plans. 5.4.4.1.10 Along with any present members of the Board, declare the Nationals Championship team and present the Member Team with the Nationals Trophy. 5.4.4.2 Term – The DoN’s term shall be for the duration of one fiscal year. The DoN’s term shall begin at the start of the fiscal year in which the institution they represent is hosting Nationals. 5.4.4.3 Voting Power – This position acts as a nonvoting member on the Board. 5.5.9 Board members shall not represent any one region, district or constituency group and shall act in the best interests of the Organization without regard to geographic allegiance or other concerns. 5.6 Term Limits – No Board member shall serve more than two (2) consecutive terms in the same position and there shall be a minimum of one (1) year between the expiration of the second consecutive term in the same position and the start of a new term in that same position. 5.7.1 Nominations – Nominations for an open Board position are made by any Member Teams between April 1st and May 31st. 5.7.2 Eligibility – Alumni and current Student-Athletes are eligible to serve on the Board. 5.7.3 Acceptance – Nominees must accept their nominations by June 5th. 5.7.4 Voting Ballot – Member Teams will receive one voting ballot via email by June 15th. 5.7.5 Voting – Member Teams will submit one ballot each following the preferential voting system by June 25th. 5.7.5.1 Alumni Voting – Alumni will also get to vote as a collective team. All Alumni votes will be counted up and the majority winner will be cast as their vote. The collective Alumni vote will count the same as one Member Team. 5.7.6 Counting – The DoN will count the votes and announce the results to the current Board by June 28th. 5.7.7 Position – The winners of the election will have to either accept or deny their position by June 30th. 5.7.8 Announcement – The new Board members will be announced via website article on July 1st. 5.7.9 DoN – The DoN is not an elected position. The Member Teams of the Organization vote on a Host for Nationals of the following year. The winning Member Team of the Nationals Host election will internally elect or appoint a Member of the Organization to act as Director of Nationals. This elected or appointed Member must also accept their role as DoN. Traditionally, the DoN has been either a Student-Athlete or Alumni of the Member Team hosting Nationals. 5.8 Meetings – The Board shall virtually meet at least five (5) times per fiscal year. Additional meetings may be scheduled by the President as necessary. The annual meeting shall be a face to face meeting occurring once per year, and shall constitute as one of the five (5) meetings required by Article 5.8. 5.8.1 Special Meetings – A special meeting of the Board of may be held at any time and at any place when called by the President of the Board or by four (4) or more Board members after proper notice has been given pursuant to Article 5.8.4. 5.8.2 Attendance at Meetings – Board members shall attend all regular meetings of the Board whenever practicable, and physical attendance is required at the annual meeting and at other regular meetings unless alternative arrangements have been made with the President. An attending OD shall monitor the attendance of Board members at meetings of the Board and Board members who fail to attend meetings shall be required to explain the reason or reasons for their absence to the President. 5.8.2.1 Meeting Absence – Any member of the Board who fails to attend at least three-quarters of the meetings of the Board during his or her initial term shall not be eligible for re-election to a second term unless the Board determines that unique and extraordinary circumstances prevented a particular individual from attending at least three-quarters of the meetings of the Board during his or her initial term, in which case such individual shall be deemed eligible for re-election to a second term. 5.8.3 Remote Presence – Unless otherwise provided by law, the Articles of Incorporation or these Bylaws, Board members may participate in any meeting by means of a conference telephone, web conferencing, or similar communication device through which all persons participating in the meeting can hear each other at the same time, and participation by such means shall constitute presence in person at a meeting. 5.8.3.1 Meetings of the Board of may take place entirely through the use of a conference telephone, web conferencing, or similar communication device if circumstances require that a meeting be conducted in such manner, as determined by the President. 5.8.4 Notice – Notice of any meeting of the Board shall be given by the President or by the President’s designee. Notice of each regular meeting of the Board, stating the place, day and hour of the meeting, along with the agenda and any supporting materials, shall be given to each Board member prior to the time designated for the meeting. Written notice may be delivered by electronic transmission. 5.8.4.1.5 the merger or conversion of the Organization. 5.8.4.2 Subject to all applicable law, the transactions of any meeting of the Board, however called and noticed or wherever held, shall be as valid as though there had been a meeting duly held after regular call and notice if a quorum is present and if, either before or after the meeting, each of the Board members not present signs a written waiver of notice. 5.8.4.3 A Board member may waive notice of any meeting before or after the time and date of the meeting. 5.8.5 Quorum – At any meeting of the Board a simple majority of the Board members then in office shall constitute a quorum. Any meeting may be adjourned by a majority of the votes cast upon the question, whether or not a quorum is present, and the meeting may be held as adjourned without further notice. 5.8.6 Action by Vote – When a quorum is present at any meeting, a majority of the Board members present at the meeting shall decide any question, including election of officers, unless otherwise provided by law, the Articles of Incorporation or these Bylaws. 5.8.7 Action by Writing – Any action required or permitted to be taken at any meeting of the Board may be taken without a meeting if the Board members are provided the notice, two-thirds of all Board members then in office consent to the action in writing and the written consents are filed with the records of the meetings of the Board. Such consents shall be treated for all purposes as a vote at a meeting. If the President or presiding officer receives a written demand that such action not be taken without a meeting, then the Board shall hold a meeting to vote on the action. 5.9 Removal – At any meeting of the Board, any Board member may, by a vote of not less than six-sevenths of the Board Members then in office, be removed from office for cause and a successor may be appointed pursuant to Article 5.11 Vacancies. The Board member in question shall not participate in the vote. For purposes of this Section “cause” shall mean the failure by the Board member to carry out his or her duties or responsibilities as a Board member or any action or inaction which materially and adversely affects or may affect the Organization. 5.10 Resignation – Any Board member may resign at any time by giving written notice to the President. Such resignation shall take effect at the time specified therein or, if no time is specified, at the time of acceptance of the resignation as determined by the Board. 5.11 Vacancies – In the event of the death, resignation, or removal of a Board member, the Board may elect a successor for the unexpired term. The Board shall have and may exercise all their powers notwithstanding the existence of one or more vacancies in their number. 5.11.1 Replacement – Each Board member so elected shall serve for the unexpired portion of the term of the Board member being replaced. 5.11.1.1 If the remaining term is less than one-half (1/2) of the length of a full term, such unexpired term shall not be counted toward the two-term service limit set forth in Article 5.6 of these Bylaws. 5.11.1.2 If the remaining term is one-half (1/2) or more of the length of a full term, the remaining term shall be counted as a full term with respect to the Board member elected to fill such vacancy for purposes of said two-term service limit (Article 5.6). 5.12 Compensation – No compensation shall be paid to any Board member for services as a Board member but, at the discretion of the Board, a Board member may be reimbursed for travel and actual expenses necessarily incurred in attending meetings and performing other duties on behalf of the Organization. 5.13 Hierarchy – The Board has a flat hierarchy, with the Office of the President acting as the public figure of the Organization. The President has no more power than any other member on the Board, but will be viewed and portrayed as the ultimate authority. This is not done to misrepresent the power structure of the Organization, it is simply more effective to allow one member of the Board to act as the public figure. 5.13.1 Member Teams – Member Team Officers will report directly to the appropriate Board Member depending on their intent in relation to their respective Member Team concerning Events, Policies, rule inquiry, financial status, news and announcements, etc. The Organization is a fluid entity and is flexible to change and further consideration. The Organization opens its ears to all suggestions for change. 6.1 Suggestions – Members are encouraged to voice their opinions for change at any time on the Organization’s official online forum or website. 6.1.1 Deadline for Consideration – Any Member can submit any number of suggested alterations to be made to the Bylaws or Rulebook, which will be voted on for consideration at the Captains’ Meeting (Article 6.3). These suggestions for change must be submitted no later than one week prior the starting day of Nationals of that same year. Any suggested changes submitted after this deadline will not be considered for change and must be resubmitted for the succeeding year. 6.2 Discussion – Members are to discuss the Suggestions year-round in order to ensure the best possible outcome. 6.3 Captains’ Meeting – Options discussed on the Organization’s official forum or website, will be brought to a vote for further consideration at the annual Captains’ Meeting during Nationals (Article 4.3.4.8). 6.3.1 Vote – This vote is purely to decide whether the change should be voted on during the official electronic vote. A majority of Member Teams present at the Captains’ Meeting must vote “yes” in order for the change to appear on the official ballot. 6.3.2 Discussion – Discussion on changes (Article 6.2) should not cease after the Captains’ Meeting vote. Members still have time to persuade each other before the official ballot is sent out. 6.4 Voting Ballot – Member Teams will receive one voting ballot via email by July 15th. 6.5 Voting – Member Teams will submit one ballot each following the preferential voting system by July 31st. 6.5.1 Intra-team Voting – It is encouraged that Member Team officers communicate with their Member Teams in order to gain an appropriate consensus regarding the changes. 6.6 Counting – An appointed OD will count the votes and announce the results to the current Board by August 8th. 6.6.1 Count Verification – After the appointed OD’s initial count of the votes, the DoN shall verify the count is accurate and valid. 6.7 Announcement – The new changes will be announced via website article on August 10th. 6.7.1 The new changes take effect at the same time the website article is published. 6.8 Publication – The documents reflecting these new changes will be published no later than September 1st. 6.9 Nonconsenting Change – Alterations to the Rulebook, Policies, and Bylaws may be made by the Board without the consultation of the Member Teams if the changes do not alter the format/style of the game, but are merely changes in phrasing, or for clarity purposes. 6.9.1 If Nonconsenting Change is made, an article must be published on the Organization’s website to update the Members of the change. It is at the point of publication of the website article that these Nonconsenting Changes will go into effect. 6.10 Board Overturn Power – The Board has the power to overturn any measure affirmed by the Member Teams in the preseason election, but only by a supermajority of three-fourths of the elected Board. 6.10.1 Exception – The Overturn Power outlined in Article 6.10 does not apply to elections for Board positions. 6.10.2 Member Team Veto Power – The Member Teams have the ability to veto the Board’s passed overturn decision (Article 6.10), but only through a supermajority of three-fourths of the casted ballots after achieving a quorum. 6.10.2.1 – This Member Team Veto Power is automatically exercised when the Board overturns a measure affirmed by the Member Teams (Article 6.10). The Veto ballot will be sent to Member Teams immediately after the decision is made by the Board to overturn the measure affirmed by the Member Teams. 7.1 Pay annual Organization Membership Dues in a timely matter. 7.1.1 Membership dues are $110 per fiscal year per Member Team but are subject to change with an adequate notice to the Member Teams of at least four months from the due date. 7.1.2 Member Teams are given a grace period of at least 19 months upon changing their status from Upcoming Member Team to Member Team after their first Match is played in the Organization. 7.1.2.1 The first Membership Dues will be paid by a Member Team after a time period in which two Nationals Championship Games have been played since the Member Team’s first Organization-sanctioned Match. 7.1.2.1.1 Example: If a Member Team’s first Match is in February of 2016, they will be required to pay their first Membership Dues in December 2017. This is because the Nationals Championship Game in April 2016 and April 2017 would have been played. Thus, the Member Team will be required to pay Membership Dues for the 2018 Season, which would be due on December 31, 2017. 7.1.2.1.2 Example: If a Member Team’s first Match is in September of 2016, they will be required to pay their first Membership Dues in December 2018. This is because the Nationals Championship Game in April 2017 and April 2018 would have been played. Thus, the Member Team will be required to pay Membership Dues for the 2019 Season, which would be due on December 31, 2018. 7.2 Report Member Team contact information each year to the Organization. 7.3 Report Event results to the Organization upon completion of the Event. 7.4 Appear at Events priorly committed to. 7.4.1 Forfeits – If a Member Team has previously committed to attend an Event, but later decides not to attend an Event, they must announce their intention to cancel within a defined time period. 7.4.1.1 If a Member Team cancels ten (10) or more days prior to the Event, no forfeits may be imposed on that Member Team. 7.4.1.2 If a Member Team cancels less than ten (10) days prior to the Event, but another Member Team replaces the canceling Member Team, no forfeits may be imposed on the canceling Member Team. 7.4.1.3 If a Member Team cancels less than ten (10) days prior to the Event, and no other Member Team can replace the canceling Member Team, a forfeit will be applied to the canceling Member Team’s Matches. 7.4.1.3.1 Determination of Forfeits – A participating Member Team may propose a forfeit be applied to the canceling Member Team’s Matches by submitting a written request to the Board. A Board vote will determine the application of forfeits. 7.4.1.3.1.1 The Board will determine whether the cause for absence from the Event is justified. Examples of why it would be justified include, but is not limited to: adverse weather conditions, traffic accident, death, etc. 7.4.1.3.2 Application of Forfeits – There are different scenarios in which a Member Team’s absence will affect the way the forfeits are applied. 7.4.1.3.2.1 If four (4) or fewer Member Teams (including any combination of Upcoming Member Teams) have committed to attending an Event, but one of those Member Teams cancels without being replaced by another Member Team less than ten (10) days prior to the Event (Article 7.4.1.3), the other Member Team(s) attending this Event will receive one (1) Forfeit Win to their record over the canceling Member Team. The canceling Member Team will receive a Forfeit Loss on their record to the other Member Team(s) attending this Event. 7.4.1.3.2.2 If five (5) or more Member Teams (including any combination of Upcoming Member Teams) have committed to attending an Event, but one of those Member Teams cancels without being replaced by another Member Team less than (10) days prior to the Event (Article 7.4.1.3), the other Member Teams attending this Event will not receive a Forfeit Win to their record over the canceling Member Team as long as they play at least three (3) Matches at this Event against three (3) unique Member Teams. Any attending Member Team who does not play at least three (3) Matches at the Event against three (3) unique Member Teams will receive one (1) Forfeit Win over the canceling Member Team. The canceling Member Team will receive a total of three (3) Forfeit Losses to their record against any attending Member Team who did not play at least three (3) Matches against at least three (3) unique Member Teams. If the total number of attending Member Teams who did not play at least three (3) Matches against at least three (3) unique Member Teams is less than three (3), then the canceling Member Team’s remaining Forfeit Losses shall be imposed against a Ghost Team. 7.4.1.3.2.2.1 Ghost Team – A Ghost Team exists purely as a means of punishment for Member Teams forfeiting from larger sized Events. A Ghost Team’s rating shall be the Initial Starting Rating of a new team. 7.4.1.3.3 Forfeit Loss – When imposed, a Forfeit Loss is imposed on the Member Team who cancelled. It is recorded as one (1) loss with a 0-1 result. 7.4.1.3.4 Forfeit Win – When imposed, a Forfeit Win is awarded to the appropriate attending Member Teams (Article 7.4.1.3.2.2) participating in the Event. Recorded as one (1) win with a 1-0 result. 7.4.1.3.5 Box Score – [Attending Member Team] def [Forfeiting Member Team] 1-0 (F). 7.5 Play by the ruleset outlined by the Organization. 7.6 Portray themselves in a manner that reflects positively on the Organization. 7.7 Vote on issues, rule changes, policy alterations, and other matters asked of them by the Organization. 7.8 Be the exclusive Member Team of your respective institution of higher education. 7.8.1 There can be only one Member Team per institution of higher education. 7.8.2 This does not forbid the existence of “B” or JV teams, but only one Member Team from an institution of higher education can be represented at an Organization-sanctioned Event. 7.8.2.1 “B” or JV teams may participate in Special Matches (See Article 4.3.4.7). 7.9 Mandate that all Members of the Member Team submit the Organization Membership Registration Form each fiscal year prior to participating in any Organization-sanctioned Event. In this form Members must agree to the terms and policies of the Organization’s Release of Liability Policy, Conduct Policy, and these Bylaws. 7.9.1 The President and/or Captain of the Member Team become responsible for any Member of their Member Team that fails to submit the Organization Membership Registration Form each fiscal year prior to participating in any Organization-sanctioned Events. 7.9.2 A Member will be suspended indefinitely from participating in Organization-sanctioned Events if they are found in violation of any of the Organization’s Bylaws, Policies, or Rulebook requirements. Committees are formed by the Organization as a method for involving more Members in the behind-the-scenes tasks of the Organization. Committees also help alleviate the workload from the Board. 8.1.9 Other committees as may be created from time to time by resolution of the Board. 8.2 General Composition, Term, and Seats – Members can join a committee of their choosing, depending on their interest. The members of each committee shall be approved by the President at each meeting of the Board. Any vacant committee seats remaining shall be advertised to be filled in accordance with the procedures of the relevant committee. The composition of each committee shall be determined by the Board pursuant to the resolution creating such committee. There is no term limit for how long a Member can belong to a committee. Committee members will, however, be asked to reevaluate their interest in the committee at the end of each fiscal year and will be advised to resign if their interest is not similar to that of the committee. 8.3 Committee Chair – The Board shall name the chair of each committee from among the members of such committee. The committee member must accept the chair position. The Committee Chair has a term limit of one (1) year. A Member cannot hold the Committee Chair for more than two (2) consecutive terms. A Member previously holding the Committee Chair position can become a non-chair member of the committee after their term expires. 8.3.1 Term Limit Exceptions – If a Board member’s position requires them to act as a Committee Chair, their term as Committee Chair will expire synonymously with the end of their term in that position on the Board. 8.3.2 Assigned Committee Chairs – The following Committees have the following assigned chairs. 8.3.2.1 Rulebook Committee – The Committee Chair will be an appointed OD. 8.3.2.2 Content Team – The Committee Chair will be an appointed OD. 8.3.2.3 Alumni Relations Committee – The Committee Chair will be an appointed OD. 8.3.2.4 League Ambassadors – The Committee Chair will be an appointed OD. 8.3.2.5 Nationals Committee – The Committee Chair will be an appointed OD. 8.3.2.6 Records Committee – The Committee Chair will be an appointed OD. 8.4 General Powers – Each committee shall have such power, authority, and duties as provided for in these Bylaws or in the resolution creating and controlling the committee. No committee shall have any independent decision-making authority except to the extent specifically conferred upon such committee by the Board. 8.5.1.6 Perform such other duties as assigned by the Board. 8.5.2.4 Perform such other duties as assigned by the Board. 8.5.3.6 Perform such other duties as assigned by the Board. 8.5.4.5 Perform such other duties as assigned by the Board. 8.5.5.6 Perform such other duties assigned by the Board. 8.5.6.5 Perform such other duties assigned by the Board. 8.5.7.5 Perform such other duties assigned by the Board. 8.5.8.5 Perform such other duties assigned by the Board. 8.6 Special Committees – The President, subject to the approval of the Board, may establish such special committees, working groups and task forces as the President and Board considers necessary and shall determine the responsibilities and appoint necessary members. 8.7 Meetings – Committees shall hold meetings as frequently as necessary in order to ensure that the committee’s business is being carried out effectively. Unless otherwise provided by law, the Articles of Incorporation or these Bylaws, committee members may participate in any meeting by means of a conference telephone, web conferencing, or similar communication device through which all persons participating in the meeting can hear each other at the same time, and participation by such means shall constitute presence in person at a meeting. At a minimum each committee shall meet three (3) times per fiscal year and shall deliver a report to the Board on the actions of the committee to date. 8.8 Removal – At any meeting of the Board, any committee member, including the chair, may be removed from the relevant committee, with or without cause, by the Board, and a successor who meets the requirements for membership in that committee may be selected. 8.9 Resignation – Any committee member may resign at any time by giving written notice to the chair of the relevant committee and the President. Such resignation shall take effect at the time specified therein or, if no time is specified, at the time of acceptance by the Board. 8.10 Vacancies – In the event of the death, resignation, or removal of a committee member, the persons or body responsible for the selection of such committee member shall select a replacement. 8.11 Compensation – No compensation shall be paid to any committee member for services but, at the discretion of the Board, a committee member may be reimbursed for travel and actual expenses necessarily incurred in attending meetings and performing other duties on behalf of the Organization. The Organization wants all Members to feel satisfied with the work of the Organization. If any Member has grievances or would like to appeal a decision made by the Organization or the Board, this Article will provide Members the ability to express those. 9.1.2 Right to Participate – Any Member, Administrator or Official may file a complaint pertaining to any alleged denial, or alleged threat to deny, of that individual’s opportunity to participate in Organization-sanctioned Events. 9.3 Filing Fee – A complaint filed by an individual shall be accompanied with a $150 filing fee. The complainant may request that the filing fee be reduced or waived. If such request is made, the Board or the Judicial Committee, as the case may be, shall determine whether or not to reduce or waive the filing fee. 9.4 Timing and Statute of Limitations – A complaint filed under these Bylaws shall be filed within thirty (30) days of the conduct in question. The Board or the Judicial Committee, as the case may be, shall have the discretion to grant complainants extensions of this deadline, including up to 180 days for right to participate complaints. 9.5.2 the product of fraud, corruption, partiality or other misconduct of the Official. 9.5.3 For purposes of Article 9.5, the term “Official” shall include any individual with discretion to make field of play decisions. 9.6 Administration – The Judicial Committee shall generally administer and oversee all administrative grievances and right to participate matters filed with Organization. The Judicial Committee shall ensure that all complaints are heard in a timely, fair and impartial manner. The Judicial Committee may promulgate procedures in addition to those set forth in these Bylaws for the effective administration of complaints filed with the Organization. 9.7 Hearing Panel – Upon the filing of a complaint, the Board shall relay the complaint to the chair of the Judicial Committee, who shall notify the other committee members. The Judicial Committee may hear the complaint, or may appoint a hearing panel consisting of a minimum of three (3) individuals to hear the complaint. The Judicial Committee shall also appoint a chair of the hearing panel. Judicial Committee members may be appointed to and serve on the hearing panel. Other disinterested individuals identified by the Judicial Committee may also be appointed to and serve on the hearing panel. At least one (1) member and at least twenty percent (20%) of the hearing panel shall be an Alumni Member. Members of the panel need not be members of the Organization or involved in the sport of Dodgeball. The hearing panel shall be considered an extension of the Judicial Committee and shall follow the same rules and procedures as the Judicial Committee. If the Judicial Committee hears the complaint, reference to “hearing panel” in this Article shall mean the Judicial Committee. 9.8.1 The hearing panel shall rule on all motions and other matters raised in the proceeding in accordance with its procedures and practices as set forth in the Conduct Policy. If the complaint is not dismissed, the hearing panel shall adjudicate the matter in accordance with its procedures and practices which shall include holding a hearing on the complaint. The hearing panel shall set such timelines and other rules regarding the proceeding and the conduct of the hearing as it deems necessary. The hearing shall be informal, except that testimony shall be taken under oath. 9.8.2 The hearing may be conducted by teleconference or web conference, if necessary or convenient to the parties. Each party shall have the right to appear personally or through a legal representative. All parties shall be given a reasonable opportunity to present and examine evidence, cross-examine witnesses and to present argument. Members of the hearing panel shall have the right to question witnesses or the parties to the proceeding at any time. 9.8.3 Any party may have a record made of the hearing. A court reporter may be present at the hearing at the request of a party. The court reporter shall be paid for by the party requesting the court reporter, or if mutually agreed, the cost may be equally divided. Any transcript shall be paid for by the party requesting the transcript. 9.9 Expedited Procedures – Upon the request of a party, and provided it is necessary to expedite the proceeding, in order to resolve a matter relating to a competition that is so scheduled that compliance with regular procedures would not be likely to produce a sufficiently early decision to do justice to the affected parties, the hearing panel is authorized to order that the complaint be heard and decided within forty-eight (48) hours of filing the complaint. In such a case, the hearing panel is authorized to hear and decide the complaint pursuant to such procedures as are necessary, but fair to the parties involved. 9.10 Complaints Involving Selection to Participate in a Competition – Where a complaint is filed involving selection of a Member to participate in a Match, the complainant shall, to the best of the complainant’s ability, include with the complaint a list of all other individuals that may be adversely affected by a decision rendered on the complaint. The respondent shall also, to the best of the respondent’s ability, promptly submit a list of such individuals. The hearing panel shall determine which additional individuals must receive notice of the complaint. The Organization shall then be responsible for providing appropriate notice to these individuals. Any individual so notified then shall have the option to participate in the proceeding as a party. If an individual is notified of the complaint, then that individual shall be bound by the decision of the hearing panel regardless of whether the individual chose to participate as a party or not. 9.11 Decision – A decision shall be determined by a majority of the hearing panel. The hearing panel’s decision shall be in writing and distributed to the parties. 9.12.1 Any party may appeal a final determination of the hearing panel to the American Arbitration Association (AAA), following the commercial rules of the AAA. For “Administrative Grievances”, a “final determination” shall mean the party requesting the arbitration shall have exhausted all administrative remedies available to it, exhausted all other available appeals and received a final decision from the Organization. Failure to receive a final determination and to take all administrative steps necessary to obtain a final determination is a jurisdictional requirement and shall be a bar to requesting arbitration. For “Right to Participate” complaints the Organization will adhere to the Organization Bylaws. The arbitrator appointed by the AAA shall have the authority to hear the matter anew, or if requested by the parties render a decision on a more limited review. The arbitrator may consider the decision of the hearing panel, provided the arbitrator considers the decision admissible, relevant to the issues before the arbitrator and helpful to the arbitrator’s consideration of the issue to be decided. The arbitrator may give whatever weight or authority to the hearing panel’s decision as the arbitrator deems appropriate. 9.12.2.1 A field of play ruling as described in and subject to limitations set forth in Article 9.6. 9.12.2.2 An allegation concerning an anti-doping rule violation, which is subject to the jurisdiction of the independent anti-doping organization designated by the Organization to conduct drug testing. 9.12.2.3 A matter specifically excepted by provisions of these Bylaws. 9.12.2.4 A monetary claim or monetary dispute between parties. 10.1.1 These Bylaws may be amended, repealed, or altered, in whole or in part, and new Bylaws may be adopted, by a majority of the Board members then in office at any meeting duly called and at which two-thirds of the Board members then in office are present. 10.1.2 The text, or a summary thereof, or any proposed amendment to be adopted at a meeting shall be sent to the Board at least ten (10) days prior to the meeting at which such action is to be taken. 10.1.3 Such amendment shall be effective as of the date of adoption unless otherwise specified in either the amendment or the resolutions adopting the amendment. 10.2 Indemnification – To the fullest extent permitted by law, Organization shall indemnify any person made a Party to a Proceeding because the person is [or was] a Board member or officer against Liability incurred in, relating to, or as a result of, the Proceeding. 10.3 Individual Liability – No individual Board member or officer shall be personally liable in respect of any debt or other obligation incurred in the name of Organization pursuant to the authority granted directly or indirectly by the Board. 10.4.4 one month after the newly elected Board member takes his or her seat in the position on the Board. 10.4.4.1 The Board member being replaced will stay for this one month time period as a way to train the new Board member in their position. 10.4.4.2 During this time period the Board member being replaced does not have a vote on the Board. They are simply acting as an advisor to the newly elected Board member. 10.5 Ethics – The Organization shall adopt a Conduct Code and a Conflicts of Interest Policy applicable to all staff, Board members, committee members and volunteers (the “Code of Ethics”). Each Organization staff member, Board member, standing committee member and volunteer shall annually certify compliance with the Code of Ethics. 10.6.3 not vote on the contract, transaction or business affair. 10.7 Fiscal Year – The fiscal year of the Organization shall commence July 1st and end on June 30th each year. 10.8 Accounts, Books, Minutes and Records – Organization shall keep correct and complete books and records of account and shall keep minutes of the proceedings of its Board and standing committees. All books and records of Organization may be inspected by any Board member, or such authorized agent or attorney, for proper purpose at any reasonable time. 10.9 Conveyances and Encumbrances – The assignment, conveyance or encumbrance or sale, exchange, lease or other disposition of any real property of the Organization of all or substantially all of the real property and assets of the Organization shall only be authorized by the Board if the purposes of such assignment, conveyance or encumbrance or sale, exchange, lease or other disposition of any of the real property of the Organization or all or substantially all of the property and assets of the Organization complies with applicable law and the purposes and restrictions on the powers of the Organization set forth in these Bylaws. 10.10 Designated Contributions – The Organization may accept any designated contribution, grant, bequest or device consistent with its general tax-exempt purposes as set forth in these Bylaws, and any restricted gifts policy adopted by the Board. The Organization shall acquire and retain sufficient control over all donated funds (including designated contributions) to assure that such funds will be used to carry out the Organization’s tax exempt purposes. 10.11 Irrevocable Dedication and Dissolution – The property of the Organization is irrevocably dedicated to charitable purposes, and no part of the net income or assets of the Organization shall inure to the benefit of private persons. Upon the dissolution or winding up of the Organization, its assets remaining after payment, or provision for payment, of all debts and liabilities of the Organization, shall be distributed to a nonprofit fund, foundation, or corporation which is organized and operated for charitable purposes and which has established its tax exempt status under Section 501(c)(3) of the Internal Revenue Code, as amended. 10.12 Prohibited Loans – No loans shall be made by the Organization to the President, to any Board member, to any staff, or to any committee or task force member, or to any Member. Any President, Board member, staff, committee or task force member, or Member, who assents to or participates in the making of any such loan, shall be liable to the Organization for the amount of such loan until it is repaid. 10.13 Special Counsel – The Board may authorize the appointment of special legal counsel or consultants as may be required from time to time at such fees and compensation as agreed upon. 10.14 Gender – Use of the feminine herein shall also refer to the masculine and the use of the masculine herein shall also refer to the feminine, unless otherwise expressly provided. The use of the singular herein shall also refer to the plural unless the context requires otherwise. 10.15 Severability and Headlines – The invalidity of any provision of these Bylaws shall not affect the other provisions these Bylaws, and in such event these Bylaws shall be construed in all respects as if such invalid provision were omitted. 10.16 Saving Clause – Failure of literal or complete compliance with any provision of these Bylaws in respect of dates and times of notice, or the sending or receipt of the same, or errors in phraseology of notice of proposals, which in the judgment of the Board do not cause substantial injury to the rights of the Members, shall not invalidate the actions or proceedings of the Board. 10.17 Voting – All votes taken in the Organization shall follow the structure of a preferential voting system. 10.18 Provisions Timeline – Specific provisions of the Documents, Policies, Bylaws, and the Rulebook of the Organization can only be updated every three (3) years. 10.18.1 Exception by Unanimous Decision – Specific provisions of Documents, Policies, Bylaws, and the Rulebook can be updated if all members of the Board agree to do so. 10.18.2 Specific provisions – “Specific provisions” in Article 10.18 refers to any one article, point, sub-point, rule, or section of the Organization’s Documents, Policies, Bylaws, and the Rulebook. 10.19.1 Purpose – Since the Organization does not have a set schedule or a required number of games to be played by each Member Team, the Organization will utilize a unique ranking system to accommodate for the current structure of the Organization. Member Teams will be ranked based on the results of the Events in which they participate. 10.19.3.1 Criteria – Any System used to rank Member Teams will be based on the empirical results of the Events in which they participate, which may be found in the Event Records. 10.19.3.2 Barring of Opinion – Any such systems will avoid the use of any poll, opinion, or similar anecdotal evidence to indicate a Member Team’s rating. 10.19.3.3 Definition – Descriptions of the Systems, examples, and any related formulae will be made publicly available on the Organization’s website. 10.19.3.3 Approval – Implication of a System may be introduced at any time, but must be approved in a Meeting of the Executive Board. 10.20 Playing of the National Anthem – Prior to the start of each organization-sanctioned Event, it is recommended the National Anthem of the United States of America is played. 10.20.1 Other Represented Countries – If Member Teams from other countries are participating in an organization-sanctioned Event, the National Anthem of their respective country shall also be played. 10.21 Effective Date – These Bylaws shall be effective when adopted by the current Board.